Mike Elliott is a lifelong Elvis fan and performer. 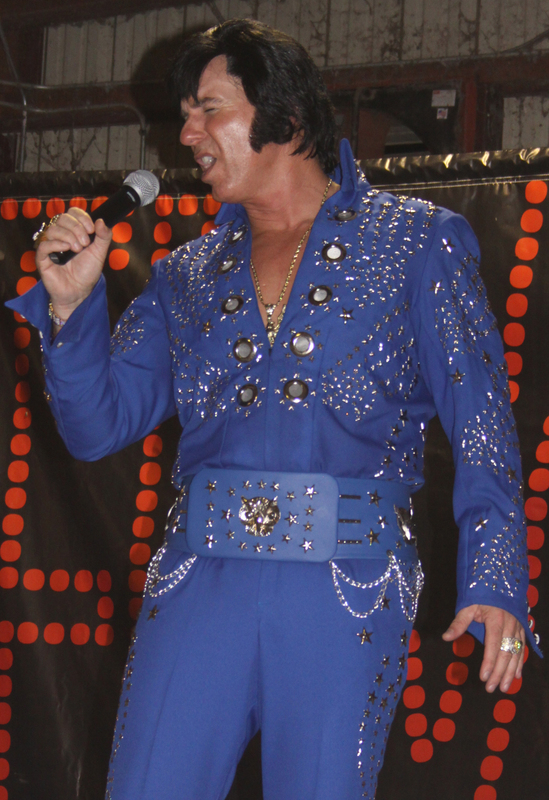 From his early days in College singing with The Elvis Brothers Rock-A-Billy band when they would tour to Mike’s Alma Mater, the University of Missouri, to performing at parties and in clubs, Mike has been working on his Elvis show for more than 20 years. Mike is a graduate of the University of Missouri and has a Master’s Degree in Marketing. His background in marketing has proven to be a huge help in assisting many of his clients in promoting their event. He strives to provide the most sincere, positive and authentic Elvis appearance possible. Mike works out several times a week in order to stay fit and provide a high energy Elvis show. His jumpsuits are all custom made are near identical recreations of Elvis’ original suits. Mike does not utilize cheesy karaoke tracks for his backing music, but invests in full orchestra full back up singer tracks that are dead-on to Elvis’ original arrangements. Mike’s Elvis show is NOT his full time job, it is his lifelong dream and passion. He performs for his love of Elvis’ music and his desire to continue Elvis’ legacy in the most positive way possible. Check out the Elvis Austin You Tube Channel!